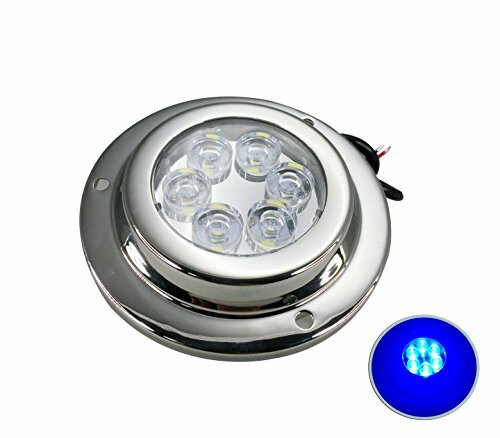 This energy efficient and attractive Blue LED underwater light with 316 stainless steel housing. It is easily installed on the surface and does not require a through hull installation. Material: Stainless Steel 316,Plastic. Housing color: Polished Stainless steel. LED Quantity: 6 pcs x 2 W. LED Color: Blue. Working Voltage: 10-30 VDC. Wattage: 12W. Beam Angle:120. Effective Lumen: 125. Instruction is included. Item# P01299-6BU. Housing color: Polished Stainless steel. LED Quantity: 6 pcs x 2 W.